The Roam-Free 4G 4Gateway is a type of 4G (and 3G) hotspot, capable of supplying fast internet service via the cellular mobile phone network. Stronger signals mean higher speeds and/or being able to connect over longer distances. 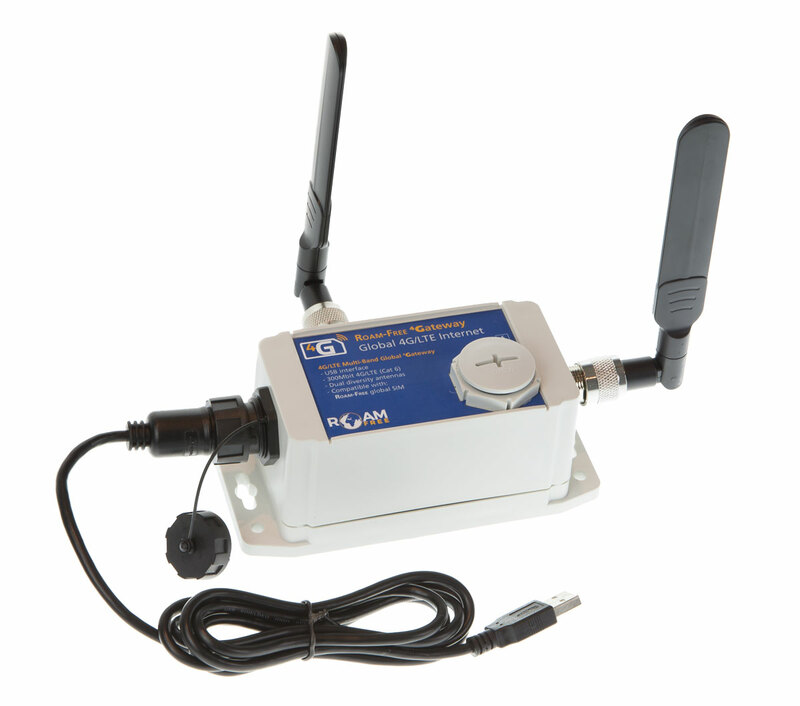 The Roam-Free 4G 4Gateway has dual antennas which are much larger than on a mobile phone (or hotspot) to hook in signals from a much longer range. Additionally, the 4G 4Gateway is one of the first devices that keeps working at maximum speed all around Europe and even all around the globe. Most hotspots only support 4G in certain regions, for example in the UK Vodafone uses different standards for 4G in London vs in Southampton. Most devices fall back to older slower speeds at best, or may not work as you travel through Europe (and few will support best speeds in the Caribbean). There are a huge range of buzzwords for mobile internet, such as "LTE", "4G", "3G" and "GPRS". Whilst these are all marketing buzzwords (and technically refer to a group of related technologies, rather than being a single thing in their own right), for our purposes they all simply mean "mobile (or cellular) internet". Really, the precise term simply refers to the *maximum* speed that you can expect in that particular location. So a large email costs more to send than a small email - but at least in theory you can remain connected to the internet all day and not be charged (only if you actually do something on the internet you pay based on the number of characters sent and received). Using an email compression service like our teleport-mail service cuts your bill even further since you are paying based on the number of characters sent and received across the link. Our service ensures that all data is compressed before it leaves the computer - hence you pay only a fraction of the usual price!